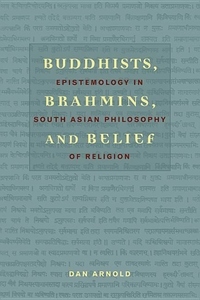 In Buddhists, Brahmins, and Belief, Dan Arnold examines how the Brahmanical tradition of Purva Mimamsa and the writings of the seventh-century Buddhist Madhyamika philosopher Candrakirti challenged dominant Indian Buddhist views of epistemology. Arnold retrieves these two very different but equally important voices of philosophical dissent, showing them to have developed highly sophisticated and cogent critiques of influential Buddhist epistemologists such as Dignaga and Dharmakirti. His analysis--developed in conversation with modern Western philosophers like William Alston and J. L. Austin--offers an innovative reinterpretation of the Indian philosophical tradition, while suggesting that pre-modern Indian thinkers have much to contribute to contemporary philosophical debates. In logically distinct ways, Purva Mimamsa and Candrakirti's Madhyamaka opposed the influential Buddhist school of thought that emphasized the foundational character of perception. Arnold argues that Mimamsaka arguments concerning the "intrinsic validity" of the earliest Vedic scriptures are best understood as a critique of the tradition of Buddhist philosophy stemming from Dignaga. Though often dismissed as antithetical to "real philosophy," Mimamsaka thought has affinities with the reformed epistemology that has recently influenced contemporary philosophy of religion. Candrakirti's arguments, in contrast, amount to a principled refusal of epistemology. Arnold contends that Candrakirti marshals against Buddhist foundationalism an approach that resembles twentieth-century ordinary language philosophy--and does so by employing what are finally best understood as transcendental arguments. The conclusion that Candrakirti's arguments thus support a metaphysical claim represents a bold new understanding of Madhyamaka.